In February 2012, then Prime Minister Erdoğan embarked on a wholesale reform of Turkey’s education system, and uttered the now famous statement that his government was aiming at “raising pious generations.” The government hastily rammed a law package through the parliament termed “4+4+4” without allowing any consultation or debate. While the law nominally extended compulsory schooling by four years, making education compulsory for a full 12 years, in actuality it reduced compulsory public schooling. It also allowed for students to enter vocational schools – including Islamic imam hatip schools – after fifth grade rather than from ninth grade. The controversy over imam hatip schools is hardly new. Erdoğan’s reforms came exactly 15 years after the February 1997 military intervention, which targeted Turkey’s first Islamist-led government. In so doing, the military imposed comprehensive changes to Turkey’s education system, most prominently by increasing compulsory schooling from five to eight years. This abolished the booming sector of imam and preacher schools, whose original purpose had been to provide manpower for Turkey’s mosques and religious establishment. Prior to the 1997 coup, parents had been free to enroll their children in schools of their choice from sixth grade onward – including the imam hatip schools that often benefited from ample private funding, and thus had smaller class sizes and better infrastructure than many vocational or academic middle schools. These schools are hardly Taliban-style madrasas: They provide a regular academic curriculum, but also an additional 13 hours per week of religious education. As a result of Islamist lobbying and fundraising at home and abroad, these schools had expanded exponentially over past decades. By 1997, they enrolled one in 10 middle and high school students. The imam hatip schools had become a parallel system of education, which increasingly provided the voter base and manpower for Turkey’s Islamist movement. The 1997 intervention abolished these schools at the middle school level, and made it harder for graduates of imam hatip high schools to gain entrance to universities, with the exception of theology programs. As intended, imam hatip enrollment declined dramatically, from 11 percent to 2 percent of students. 40,000 students were reportedly automatically enrolled in imam hatip schools reportedly against their will. This is what Erdoğan’s 2012 reform sought to reverse. But it went further. As Orhan Kemal Cengiz has observed, the reforms turned “religious schools from a selective option to a central institution in the education system.” The reforms introduced entrance examinations for all high schools except the imam hatip schools; implying that all students who do not qualify for other schools would have no choice but to enroll in imam hatip schools. 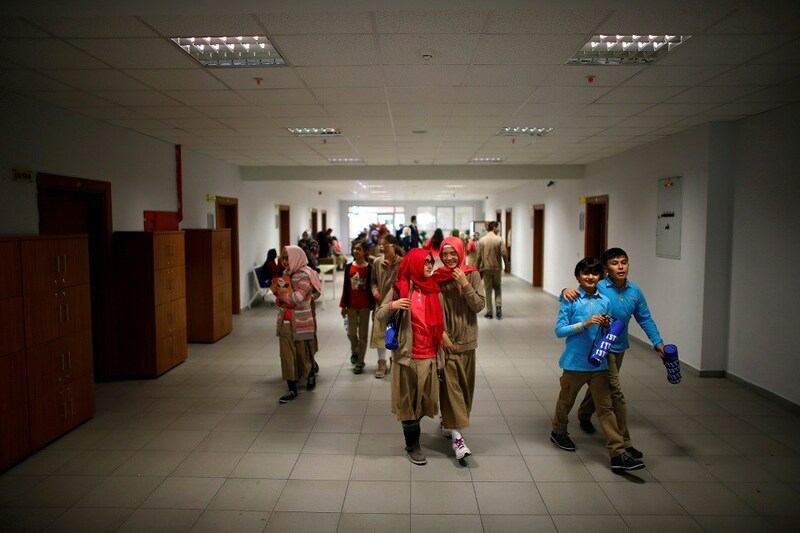 By 2015, Erdoğan’s son Bilal Erdoğan, whose Turkey Youth and Education Service Foundation (Türkiye Gençlik ve Eğitime Hizmet Vakfı, TÜRGEV) foundation was put in charge of the expansion of the imam hatip schools, announced that the number of students enrolled had reached one million. And no wonder: In August 2013, over 1,112,000 students took the placement test for high schools with an academic program; yet there were only 363,000 slots available. Those that did not make the cut had to choose between vocational schools, imam hatip schools, and a variety called “multi-program high schools,” whose availability was distinctively sketchy. 40,000 students were automatically enrolled in imam hatip schools reportedly against their will. Erdoğan’s reforms extended beyond boosting imam hatip schools. The reforms also greatly expanded the religious content of regular high schools. The government extended the time students spend in a compulsory class on “Religious Culture and Moral Values,” which in spite of its name focuses entirely on Sunni Islam. In addition, elective courses such as “the life of Prophet Muhammad” and the “Qur’an” were introduced into the curriculum. In total, that meant that students could receive up to six hours of religious education per week. Since the number of total hours of school per week was shortened, the proportional increase in religious education was even more marked. In theory, religious classes are elective. However, the reality may be different. The government strengthened its grip on the appointment of school administrators in 2014, and it is the administrators who have the authority to decide which elective classes are offered. Furthermore, islamization in Turkey has never relied solely on regulation; it is heavily influenced by community pressure. In many parts of the country, only highly dedicated secularist parents will expose themselves and their children to ostracism by choosing not to attend religious courses. A Newsweek story reports how a student in a secular area of Istanbul was teased for being an atheist when granted an exemption from the supposedly elective class on the life of the Prophet that she had automatically been assigned to. If this happens in secular districts of Istanbul, the predicament of parents in towns and rural areas across the country is much more pronounced. It is not a coincidence that the class on the life of Muhammad was the most popular elective course in the first year it was being offered: It probably stems in equal part from a genuine interest in Islam, and from a sense that selecting that course is the best course to take to avoid ostracism. Reforms in 2010 made it possible to transform regular high schools into imam hatip schools; in 2012, this was made possible for middle schools as well. In March 2014, new legislation was adopted that provided the government with a mandate to overhaul the entire structure of the ministry of education, including terminating thousands of high-ranking officials, who could then be replaced by political appointees. The government claims that such processes only take place as a result of popular demand, but the record proves otherwise. In fact, government plans to turn secular schools into imam hatip schools have led to street protests in a number of places. The process clearly appears to be supply-driven rather than demand-driven. As will be seen below, enrollment numbers make this clear. Taken together, it is too early to say that the Turkish curriculum is being fundamentally altered away from Western values. A recent analysis of Turkish textbooks suggests this is not yet the case. But the government’s steps are unequivocally in that direction; and it is not only the content of curricula but the broader context of education that matters. In the interface between religious and political life in Turkey, the key actors have long been the religious brotherhoods and communities. These are almost universally products of the Nakşibendi Halidi (Naqshbandi-Khalidi) order, an orthodox Sufi movement that established its dominance on religious life in the country in the nineteenth century. Some – like the İskender Paşa and Menzil branches – remain formally within the order, while others like the Nurcu, Gülenist and Süleymancı communities – are offshoot networks of the brotherhood. And the education sector has been a key focus of the activity of these brotherhoods and communities. Changes to the curriculum raised eyebrows for doing away with the teaching of evolutionary biology in high schools. Ironically, the main brotherhood that did not prioritize education was the İskender Paşa, a branch that instead focused its attention on politics with astounding success: It produced Turkey’s first Islamist party, and can claim Necmettin Erbakan, Turgut Özal, Tayyip Erdoğan, and a host of AKP cabinet members as members. But while it was strong in politics, it lacked a considerable mass following. By contrast, the Gülen and Süleymancı movements made education their main focus – the Süleymancı mainly in Qur’an courses, and the Gülen movement in secular schools. But they also spent considerable energy expanding the networks of thousands of student dormitories, which provided a captive environment for the indoctrination of young minds into the tenets of their particular movement. The focus on high-quality secular education provided the backdrop for the spectacular expansion of the Gülen movement’s influence, which allowed it to gain a commanding presence in state institutions, as well as intellectual and business life. By 2002, that presence had enabled the movement to present itself as a key ally to the AKP and Erdoğan’s efforts to secure power – because Erdoğan’s own İskender Paşa brotherhood was simply too small to run Turkey’s expansive state bureaucracy. Seeing the Gülen movement as a kindred Islamist community, Erdoğan for almost a decade allowed the movement free rein in the bureaucracy – something that subsequently almost led to his demise in the July 2016 failed coup. February of 2012, the month Erdoğan hastily launched his education reforms, was also the month when the AKP’s conflict with the Gülen movement exploded, when Gülenist prosecutors attempted to arrest Erdoğan’s close confidant Hakan Fidan, the head of the National Intelligence Organization. Thus, while Erdoğan had a long-standing grudge against the secular establishment’s impact on the education system, the haste with which the reforms were conceived appear to have been related to the struggle with the Gülen movement. Up to that point, Erdoğan had relied heavily on Gülenist cadres to staff critical parts of the bureaucracy. Now, he felt he could no longer trust anyone who had attended Gülenist schools. Indeed, by fall 2013 he moved to close the movement’s vast network of schools providing preparatory classes for university entrance exams. Then Erdoğan faced the vexing problem that reliable, Islamic manpower was in short supply. This problem became particularly acute following the mass purges targeting the Gülenists that intensified after the failed military coup of July 2016. Nature abhors a vacuum, and similarly, the vacuum left in the education sector by the purge of the Gülenists is now being filled largely by other religious brotherhoods and communities. The vacuum left in the education sector by the purge of the Gülenists is now being filled largely by other religious brotherhoods and communities. In the present environment in Turkey, details of this process are by necessity anecdotal. Yet it appears that the two main established communities that have moved to replace the influence of the Gülenists in the education sector are the Süleymancı and the Ismailağa groups. Among them, the Süleymancı are known to operate over a thousand dormitories across the country. The community’s relationship with the AKP – and with the Milli Görüş movement from which the AKP stems – has been checkered. Much like the Gülenists, the Süleymancı have sought to maintain their independence from Erdoğan, but crucially, they remained loyal to the government against the coup plotters in July 2016. This has enabled the movement, which has spent over half a century trying to increase its influence on the country’s bureaucracy with limited success, to advance its positions particularly in the Ministry of Education and the Directorate of Religious Affairs (Diyanet). Equally important have been the new foundations set up by Erdoğan and his associates to increase his direct influence on the education system. Primary among these is the TÜRGEV foundation, which is run in practice by his immediate family: His son, daughter, and their in-laws occupy central positions. Others include the Ensar and Muradiye foundations. These foundations not only raise funds of their own for investment in the education sector. On the basis of agreements with the ministries of education and family and social policies, these foundations set up “education centers” across the country to which the government channels funds. These “centers” in turn provide vehicles for the dissemination of religious and ideological propaganda among the country’s youth. While there is no question that the influence of these foundations is growing, the question remains what particular brand of Islamism will be disseminated in their activities. On one hand, conservative Turkish brotherhoods in the Nakşibendi Halidi tradition are likely to compete for influence in these organizations. On the other, Gulf funding for their activities raises the question to what extent Salafi-inspired thinking will find its way into the Turkish education system, as some already fear is happening to the Turkish religious bureaucracy in general. Erdoğan’s government is pulling out all the stops in order to boost religious education at the expense of secular schooling. But the results so far suggest this is meeting considerable resistance among the population. A January 2018 well-reported Reuters investigation provides some statistics for the transformation of Turkey’s education system. Although imam hatip students still make up only 11 percent of the total, Reuters’ review of the government budget indicates that it plans to spend 6.5 billion liras (1.68 billion dollars) in 2018 alone on these religious schools – or 23 percent of the education budget; the government was planning to spend 6.200 liras per student in regular schools, but 12.500 liras per student in religious schools. As a result, regular schools are considerably more crammed than religious schools, both in number of total students per school, and in terms of class sizes. The government was planning to spend 6,200 liras per student in regular schools, but 12,500 liras per student in religious schools. Of course, the government claims that they are only responding to public demand, arguing that whereas previously, the imam hatip schools were repressed, the government now only provides the type of schooling that society requests. But facts tell another story. First, the government is clearly planning for the expansion of the imam hatip schools. It filled only 31 percent of the contingent for these schools in 2017, while the regular high school contingent was filled at a rate of 98.3 percent. This indicates a plan to expand imam hatip schools in the future, something confirmed by a high school application system that is heavily slanted to guide students toward these schools. Parents, however, appear unfazed. Data from late 2017 suggests that while the number of imam hatip schools increased by 26 percent over the last two years, the number of students in these schools actually fell by almost 10 percent after having reached a high point in 2015. And no wonder: these schools underperform woefully from an academic perspective. In Turkey’s highly competitive centralized university placement exam, 36 percent of high schoolers attending regular, secular high schools won a place in a four-year college program. That is less than the 54 percent of graduates of the special science high schools. But it is a world of difference from imam hatip schools, who ranked the last, with less than 18 percent of graduates being able to enter university. When Erdoğan refers to these graduates as the country’s hope for the future, he does not seem to have academic performance in mind. Indeed, scores on the university entrance exam provide a clear picture. In the language and math section of the test, science high school graduates again take the lead with an average of 340 points. Graduates of private and public secular high schools rank lower, at 241 and 234 respectively. But again, graduates of imam hatip schools are far behind at 180 points. Thus, Erdoğan’s government faces a problem. If it is determined to expand religious schooling, it will likely have to do so in a coercive manner, against the wishes of the population, which seems to be motivated more by the quality of education than by acquiescing to the government’s efforts to strengthen the religious content of schools. The islamization of the Turkish education system has already begun to have effects. Whatever the government’s intentions, this effect has been to devalue traditional secular knowledge. This has been made evident by Turkey’s performance in international surveys such as OECD’s Programme for International Student Assessment (PISA) rankings. The drop has been clear across the board. PISA measures student scores in math, reading, and science. In 2012, Turkey’s scores were 448, 475 and 463, respectively, for a combined 44th place among 65 countries surveyed. By 2015, the scores had dropped to 420, 428, and 425, and Turkey fell to 52nd place among 73 countries surveyed. As an illustration, Kazakhstan, which ranked behind Turkey in 2012, has now bypassed Turkey as it invests in secular education and climbs up the rankings. The change is not only quantitative but also very likely qualitative. The secular-religious divide in the education sector touches on the key question of epistemology: What are the sources of knowledge and learning? As the American example suggests, a secular education system can certainly be respectful of religious values and beliefs. However, it instills students with the notion that in the final analysis, knowledge stems from reason and experience rather than divine revelation. An education system based on religion does the opposite: To borrow the terminology of Erdoğan’s former Prime Minister Ahmet Davutoğlu, it rejects the “peripherality of revelation” in the Western enlightenment philosophy, and instead emphasizes the primacy of divine revelation as the uncontested ultimate source of knowledge, whatever reason or experience might suggest. Of course, this is the point of the process taking place in Turkey’s education system today. And that trajectory will leave Turkey weaker rather than stronger on the international stage. Most crucially, it will contribute to undoing what had distinguished Turkey from its Middle Eastern neighbors. As the Turkish republic loosens its embrace, however tenuous, of enlightenment values, it will likely become increasingly a Middle Eastern rather than a European country. Howard A. Reed, “Turkey’s New Imam-Hatip Schools,” Die Welt des Islams, Vol. 4 , No. 2/3 (1955), pp. 150-163. Sencer Ayata, “Patronage, Party and State: The Politicization of Islam in Turkey,” Middle East Journal, Vol. 50, No. 1 (Winter 1996), pp. 40-56. Orhan Kemal Cengiz, “Erdogan’s Reforms Meant to Educate ‘Pious Generation,’” Al Monitor, 26 June 2014. “Political Islamist ideals pushed via imam-hatip schools sparks anger,” Today’s Zaman, 25 August 2014. For example, students are required to memorize a long list of Qur’anic verses and prayers, but no texts from any other religion. Christian and Jewish students continue to be exempt from the class, indicating that the government itself views it as an education in Islam. Efe Kerem Sözeri, “Zorunlu Ant Kalktı, Ya Zorunlu Dua?” Bianet.org, 1 October 2013. “AK Party Aims to Mold Next Generation in Political Islam,” Today’s Zaman, 14 June 2014; Alexander Christie-Miller, “Erdogan Launces Sunni Islamist Revival in Turkish Schools,” Newsweek, 16 December 2014. Ahmet Davutoğlu, Alternative Paradigms: the Impact of Islamic and Western Weltanschauungs on Political Theory (Lanham, Md. : University Press of America, 1993), p. 195; Davutoğlu, Civilizational Transformation and the Muslim World, (Kuala Lumpur: Mahir Publications, 1994), pp. 13-14. 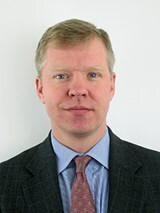 Dr. Svante E. Cornell is the Director of the American Foreign Policy Council’s Central Asia-Caucasus Institute (CACI), and a Co-Founder of the Institute for Security and Development Policy (ISDP) in Stockholm, Sweden.